Todd and Barb’s Rapids Resort is Located about half way between Crivitz on US Hwy 141 and Lakewood on State Hwy 32, Silver Cliff is easy to get to from just about anywhere in the Midwest. 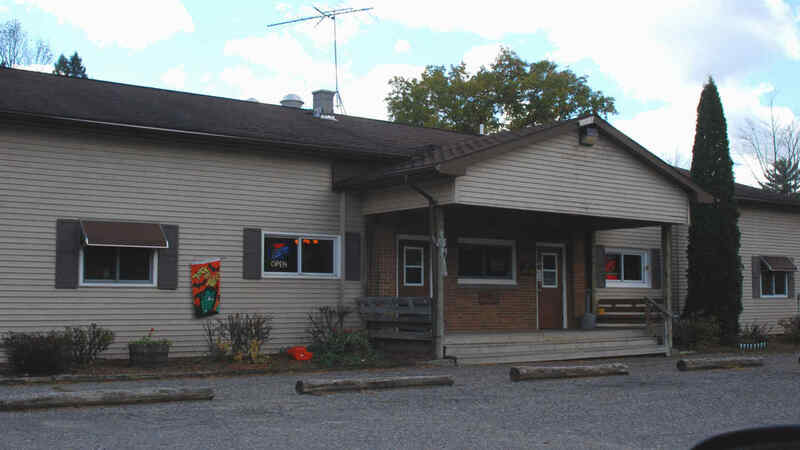 Todd and Barb’s Rapids Resort also has a full service bar and restaurant offering daily lunch and dinner, weekend breakfast, home made pizza and other Italian specialties. Our dining room provides a nice view of the river. The bar and game room offer a juke box, pool table and video games. Visit our bar & gameroom page for more information. Todd and Barb’s Rapids Resort offers overnight accommodations in their 4 rustic cabins. These cabins are right on the river and are fully updated with modern conveniences. Available mid-April through deer-gun season in November, the cabins are within a few short steps to the bar, restaurant, raft company and campground. Visit our Lodging page for full details. Todd and Barb’s Rapids Resort has your needs covered if you are camping next door with Kosir’s too. Ice, packaged goods, food and drink and much more is available here for the visiting camper. Explore our website to see all that we offer and we hope to see you soon at Todd and Barb’s Rapids Resort in Silver Cliff, WI.